The Haven at Westchester is a discreet general psychiatry unit designed to offer competent professional care and minimize the distress and inconvenience of hospitalization. 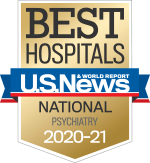 The Haven offers sophisticated evaluation and treatment by highly trained Weill Cornell faculty psychiatrists, social workers, nurses, occupational and activity therapists. The team provides state-of-the-art pharmacotherapy, individual psychotherapy, group and family therapy, as indicated. Discharge planning is a critical part of the treatment program, and begins on the day of admission. Leaders in psychiatric subspecialties are available for consultation and guidance of treatment planning. The Haven treatment team values the contribution of referring professionals and is committed to continuity of care. In addition to competent professional care, The Haven offers a pleasant environment. Tasteful common spaces and private rooms with bathroom and television make the hospital stay comfortable. A concierge helps patients in selecting meals, communicating with relatives, making appointments and travel arrangements, and minimizing the inconveniences of hospitalization. The Haven accepts most private insurance plans and Medicare. The daily amenities fee is additional, and is the responsibility of the patient. For information about admissions or referrals, please call 1-888-694-5700 24/7. You may also contact our Referral Development Coordinator at 914 997-5788. Referrals may be made by physicians, health professionals, community agencies, prospective patients, or family members. For additional information about the hospital’s psychiatric services, please visit our website at www.nyp.org/psychiatry.